HIGH QUALITY MOULDING combines blade strength with smooth edge profiles for maximum access and patient comfort. SILENT RATCHET operation. 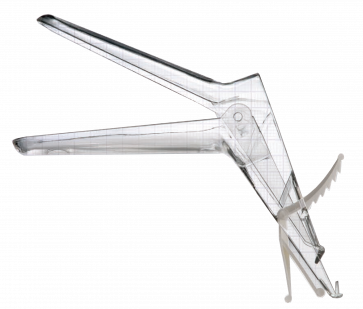 Single handed operation allows the speculum to be opened without engaging the ratchet until full distension has been achieve – reducing patient stress and discomfort. INDIDUALLY WRAPPED, sterile or non-sterile in cartons of 25 units.